You have multiple priorities to keep in mind in marketing and sales – here’s some tips to keep both in the forefront of your mind. 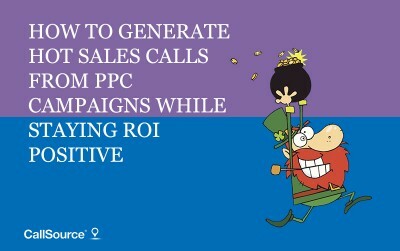 You are tasked with what seems impossible: “Generate hot sales calls from a PPC campaign while staying ROI positive.” If you worked at a marketing agency, then this would probably be in your everyday tasks while working with clients. But unless “Advertising,” “PPC,” “Traffic,” or “Affiliate” is in your job title, then I’m sure you have other things to focus on besides trying to generate calls from digital advertising. Let’s jump into an extensive “how-to” for generating hot sales calls for those who have other things to focus on, as well as for experienced PPC managers looking to shore up what they know. 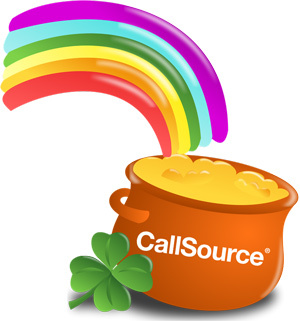 A task like “Generate hot sales calls” implies a current condition or state where this does not exist. “Scale hot sales calls” refers to a state where this is already occurring. I am going to assume that you are currently not generating hot sales calls from your PPC campaigns, so I’ll focus on the former. Since this is your task to work in an environment where something successful is desired but does not yet exist…welcome to marketing! What is the budget for this task? Who will be in charge of running the campaign and acquiring the creative assets? What methods of digital advertising are we going to use? (Facebook, Google, LinkedIn, etc). What marketing tools do we have access to assist us in this task? (Advertising tools, email marketing tools, landing page or thank you page creators, etc). What is our sales process for handling the “hot sales calls” that we generate? What about the follow-up or missed opportunity sales calls? After making this list, you might see some first steps that need to happen before you start generating hot phone call leads. You start with a list to identify the constraints you will be facing. The shorter your list in general, the more constraints you will find that crop up and delay or throw off your task. Have an answer for each bullet point above, and you will have enough to jump ahead. The more precise you define a “Hot Sale,” the better your PPC campaign will perform. We’ve previously talked about how to create better marketing qualified leads, but how do you ensure those MQLs become a “Hot Sale”? The quality of your leads is dependent on not only how well you can define what makes someone a qualified lead, but how well you can speak to these specific consumers with a relevant message. 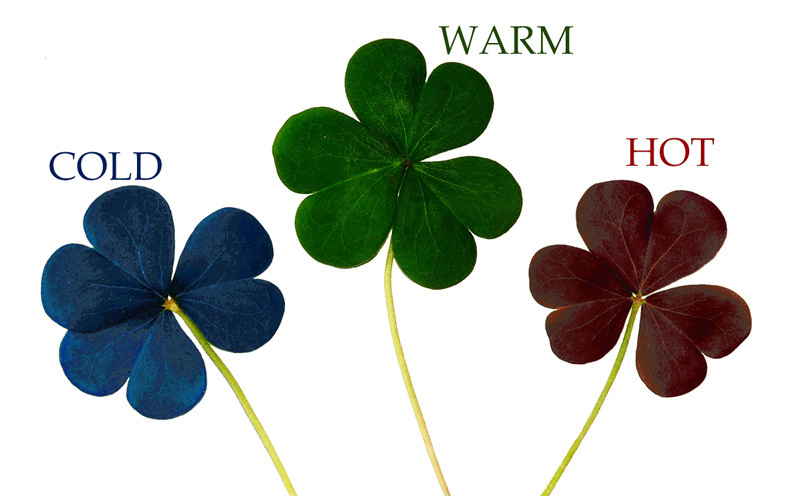 We will use hot, warm, and cold to signify the buying intensity of sales prospects going forward. Cold leads/prospects are at the top of the funnel and may not know your company, or there is a problem to fix. Warm prospects need convincing and are most likely in the middle of the funnel. Hot prospects are sales prospect further down the marketing funnel and ready to buy. The goal at the top of the funnel, where your cold prospects are located, is to make people AWARE. Awareness is defined as: informing people of a problem, of their current state, of a better state, and finally of who your company is and what you’re passionate about doing that nobody else does. 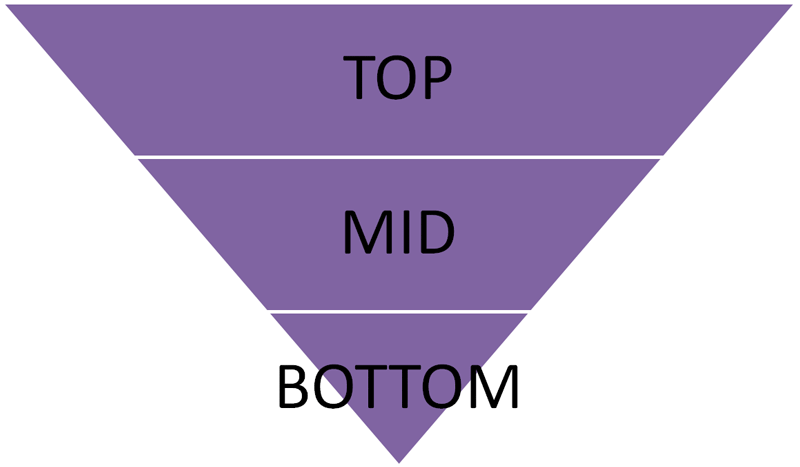 The bottom of the funnel is where HOT audiences are sent. The goal at the bottom of the funnel is to send your prospect to a persuasive page to call you, set an appointment, or to engage with you in some fashion. The highly subjective part is being persuasive, but if you’ve done the work before this point and segmented them correctly, you should have sifted the leads with the highest buyer intensity. Identify your target audience, discover their pain points, and speak to them in a way that solves for their needs quickly. Provide a quality offer to your target audience that will seem irresistible to them right now. As referenced in the proverb above, your target audience should not be similar to anyone else’s. Even amongst your competition, your target audience should be distinct and aligned to what you sell. Using the analogy of Subway and McDonalds, both are targeting more market share of the healthy fast food market—especially amongst the 18 to 30-year-old segment. Even still, one should be specifically going after the sandwich crowd and the other the burger and fries crowd. You see examples of this in commercials where advertising hones in on a specific segment of a targeted audience and tries to speak directly to them—such as the new “McVegan” burger that McDonald’s is testing or Subway’s “Fresh Fit” sandwich menu. Although it is important to make your business stand out, don’t get too hung up on this step of really individualizing your messaging yet or blame this step later if your campaign doesn’t work out as intended. But I can’t give you this brief without also sharing a tool to help you make your marketing both relevant and valuable. I like to use DigitalMarketer’s Avatar Worksheet to stay on message and identify my hottest target audience. Step 4 – Why phone calls as a sales generation method? You are an appointment based business. You have a team that is trained to handle sales calls. You track your marketing phone calls and already have a budget dedicated to scale this. Let’s talk about the last point, tracking your marketing phone calls because it’s something you can easily add-on to your business. Shameless plug aside, you can only improve your marketing by tracking it and having a plan in place ahead of time to utilize the findings. There are a few other types of lead generation that can occur before you start making sales on the phone with them. Although we are assuming you have been tasked with generating hot leads for sales calls through PPC, you should also consider gathering leads through other means and then closing them on the phone. You don’t need to use all of these tactics, but consider how they would work for your company. My advice—plain and simple—is start with a local search segment of your targeted audience if possible. I recommend this from my experience in PPC. Don’t just take my word for it, here is a great article from ReviewTrackers on how local search is best for bottom of funnel. Start with the easiest method to capture sales from PPC campaigns before getting more complex. Local advertisements are the easiest because you are overcoming a lot of the issues people have with PPC ads and their reluctance to trust them by saying you are a real company just around the corner from them. Other platforms could work just as well for you and each of them has its pros and cons. Research by emarketer this last September details the growth of digital advertisement platforms and highlights a trend that digital ad spend is only increasing. Taking it up a notch is the question of which platform would work best for generating hot sales calls? …The point is go where your targeted audience is hiding, because your competitors probably are. The brand is your company name and offers you the chance to target search marketing with a message to accurately portray your brand in a way that positions it for sales calls. Brand targeting should not be overlooked. When it comes to performance, they typically have the best Click Through Rates (CTR) and high-quality scores, which directly reduces your costs in running advertisements on those platforms. Someone who types in your company name into a search engine might be looking for the phone number… why not give them that opportunity and test this hypothesis? The category level should be made up of your products or topics that align with what your company does. If you do not have products that are clearly defined, consider looking at your mission statement for ideas. Assuming you have products, break them up into exclusive categories and make content and messaging to target an audience for each of those products. Make them aware of a problem they have. Talk about the pain of that problem in the current state. Refer to the ideal state (or the potential after). Clearly make it your passion to help them solve this. THEN… and only then… talk about your product as the solution you want to provide for a specific set of problems. The keyword level takes this even further, and so I do not recommend this for marketers just getting started. The reason that keyword level is more difficult is that you are isolating specific problems people are having through search terms and matches a highly relevant and valuable solution page for them. In this example, the search term matched, a highly relevant article was displayed as an advertisement, the article makes mention of a downloadable offer for lead capture during and after the article’s content that sends people to a form to get their name, email, and phone number. You would have to repeat this process for every valuable keyword in order to maximize the keyword level. These steps are simplified for categorical and brand as your need for content is much smaller since matched keywords are grouped into anything relevant to the category. Before I move on from search marketing I do want to point out the click2call, call-only ads, and “call me now” buttons that are found in these platforms. My advice is to use these for remarketing lists for people lower down your funnel, but consider giving them the option to call you straight from the advertisement as well. Do not neglect the call extension, but also don’t jump straight to “call me!” unless you had a segment that was already hot. The more specific you get (Keyword > Category > Brand), the more personal you can make content and offers. You should be trying to speak to a specific, targeted group of people so that you get higher relevance and value. What about the other platforms that are not search? 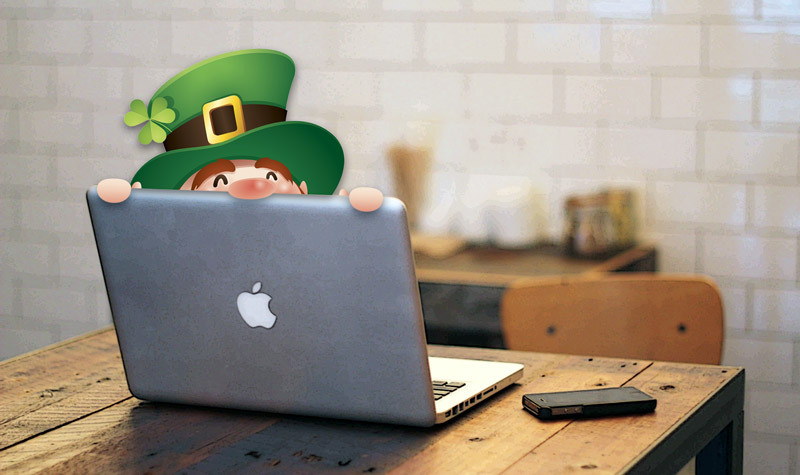 Image based advertisements require a landing page, and you should always do that! A landing page can be an article or a product detail page, but your consumers should be sent somewhere that they are likely to convert. Retargeting is huge, and if you are not doing this, you are ignoring the ability to segment your visitors. I recommend implementing image ads as retargeting PPC campaigns because they really have to work hard. In comparison, search advertisements allow personalization by matching keywords that a consumer is looking for to a potential solution you provide. In retargeting you can only segment that audience based on what the platform allows. Most platforms allow you to pixel an audience or upload a list that is matched to their database. By uploading or targeting specific pixeled visitors you can find people that are warm or hot based on their engagement. I’ve seen clients go after their cancellations with some positive results because they have new pricing, a new product, or unique service addition that sets them apart. This means that as you conduct your business online, especially with advertisements, remember that marketing is a long term strategy and it often takes many touches to finally make a sale. Adding touches does not always guarantee a Hot lead or a sale but it does improve the chances that marketing will be successful. Your purpose for this whole PPC campaign task is to build a marketing strategy that will inform you enough to know how many touches on average it takes for someone to become your next client. You can only know this if you track your marketing activities. Step 6 – What does ROI positive mean for marketing? Marketing is a long-term strategy. Okay, I get it, but I need results tomorrow, so what should I do? A key element I have purposely left out of all these steps is the time frame. I have left it out because technically you could be ROI positive if you take a long time, with highly calculated steps, and spent just enough at each stage to get what you want. That oversimplified explanation can last months or years as marketing teams make incremental changes until they achieve return on investments (ROI) that are double, quadruple, or even 100x their spend. The truth is products that take double or triple-digit returns are usually able to sell themselves. I wouldn’t always credit a marketing team for that kind of return unless they started out with utterly abysmal marketing and did a 180. Achieving ROI is based primarily on the LTV (lifetime value of a customer). Once you know how much value an average sale is bringing you, you have your breakeven point for ad spend. You need to break-up your budget accordingly for testing. The continuum that marketing lives on is that as time is shortened costs usually go up. If you want to be ROI positive tomorrow, your chances are very slim. My advice is to consider time in your equation. In order to become ROI positive and start multiplying your return, you need a well-oiled marketing machine. I have laid out the steps that you need to master, and I mean it when I say you must master them. You have to assume that you will fail along the way – the key is failing quick. Learn from your mistakes, take calculated risks, and plan on increasing your budgets only after you have made wins. Marketing optimization is a job all its own. Cannon ball testing is when you make a dramatic shift (as opposed to iterative testing) and change a ton of things all at once. Analysts scream and optimization specialists jump out of the window when they hear you are doing this… but sometimes you have to. You need to experiment with changes and sometimes you have to make big shifts until you find some semblance of success. Why phone calls as a sales generation method? 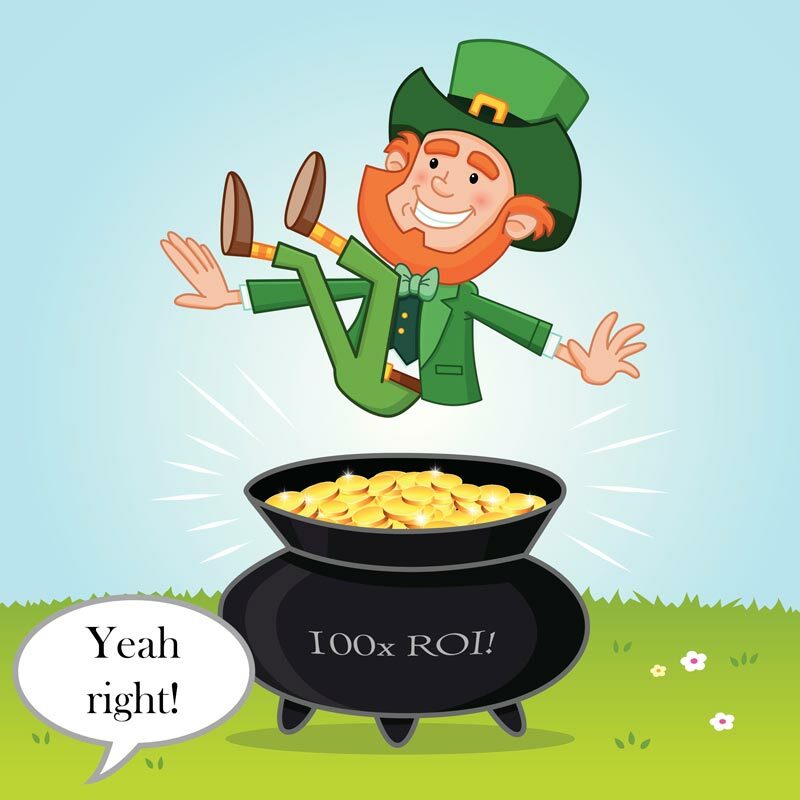 What does ROI positive mean for marketers? By the end of this when someone says, “What is your return on ad spend (ROAS)?” or “What is your return on investment (ROI)?” you can confidently answer and have the insight to explain how you are actively improving. 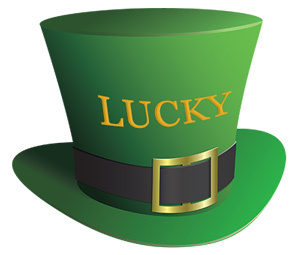 Even if it’s not rainbows or pots of gold today, you can celebrate the fact that you are making attempts and failing fast because marketing is a long-term strategy and you will get there! Each of the major PPC platforms, Google, Facebook and Bing, all have their quirks, and you must know this information to run successful campaigns.